This darling female puppy was rescued last night from a very abusive situation according to the person requesting help. She now temporarily lives with several dogs of different sizes that she gets along very well with. She also gets along with the horses and chickens outside the house. 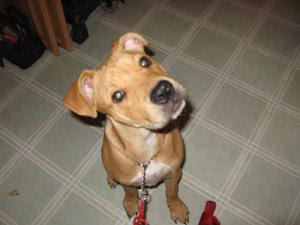 She loves to play and plays very sweetly with no aggression or shyness. Hopefully she has not been too affected by the level of abuse she has experienced. Little one is not fixed but the caretaker Michelle, made sure she got her first set of shots. If she is not spayed she has most likely not received her complete series of vaccinations. Little one is housetrained (no accidents) and rides very well in the car. Unfortunately they cannot keep her and the closest shelter is the Everett Shelter. They know the risk of putting her there. While they live on Camano Island Michelle is willing to bring the puppy to any rescue or loving home that can open their doors to her to save her and offer her the chance for a happy, safe future. She can be reached at 425-314-3271. They really don’t have a lot of time so please contact her immediately. Thank you. 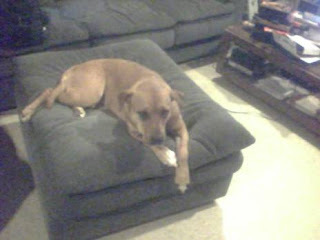 Coco is a 4 year old Lab/Boxer mix once used as a guard dog. 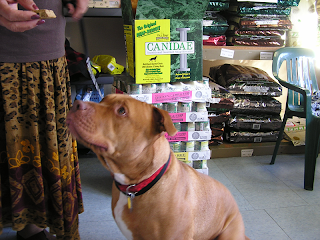 A family took her in and worked with her to help her recover from her negative training. But now she needs help. She recently attacked a small dog and the owner is concerned about their 1 month old baby (although Coco has not shown any aggression towards children). This might complicate any potential adoption for Coco but it’s certainly not impossible. I also do not know the circumstances of the attack. Please read more details below about her situation. If you’d like to know more about pretty Coco and possibly adopt her into your family please contact Allen at 425-442-8903 or opezsd@yahoo.com. Thank you. Sully was on "death row" at the Humane Society and something remarkable happened. Someone there decided (we don't know who and if we did they could get into a world of trouble) this dog was so amazing that he just couldn't be destroyed. Needless to say, there is a place in heaven for that person, whoever it might be. Apparently, Sully is the sweetest 2 - 3 year old Pit Bull that anyone there had ever met. Gets along with with people, other dogs and even cats. Please respond, if you are interested to Lynette Young, who owns the ClipNClean Pet salon. Anyone who knows Lynette also knows that she is the Patron Saint of Tacoma's unwanted, lost and otherwise discarded animals. She's on the board of the Humane Society and they called her to take Sully in. Of course, she did! Lynette can be reached at home today and tomorrow (Monday) at 759-9411 or at work on Tuesday at 752-8325. 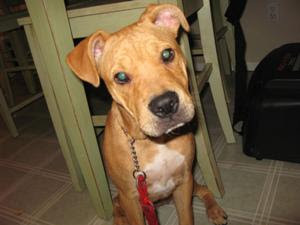 Anyone who adopts Sully will get a free Adult Canine Class on me. Thanks for reading this and please pass this on to anyone who might be interested. What a wonderful idea to offer free spay and neuter. It is so important to help maintain the right balance of pets to available families. Because the Bellevue Humane Society is offering FREE spay and neuter services, they are going to need supplies. Our Towels For Shelters Campaign would like to donate to them, the towels given by the Seahawks and other local businesses. Spay and neuter should not be a select program here and there. Our unwanted pets overwhelm the resources to deal with them. Just as with many facets of our society, we should be proactive, not reactive. It truly costs so much less in every way possible. There is no one without the whole. To sustain is to balance. That should be the goal. Creating a balance at every level. Please spread the word! It will saves lives! FREE SPAY/NEUTER SURGERIES FOR PIT BULLS! Please help pass the word on this very important opportunity! 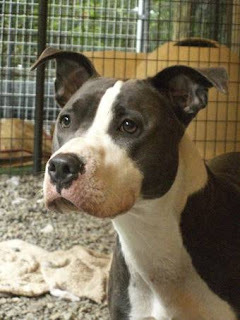 Seattle, WA - The Seattle Humane Society and Seattle Purebred Dog Rescue are teaming up to provide FREE spay and neuter surgeries to ALL pit bulls in the Puget Sound region for a limited time! Pit bulls account for approximated 30% of lost, stray and abandoned animals in our community's shelters today. We can help change these statistics by ending unwanted and unnecessary births by spaying and neutering. The time is now and the price is FREE! "SPDR's mission is to prevent unwanted purebred dogs from overloading the region's public shelter systems. The Puget Sound region is experiencing an epidemic of homeless pit bulls," explained Lynn Erckmann, President of Seattle Purebred Dog Rescue (SPDR). "The truth is there are not enough good homes for all of the pit bulls looking for a family to call their own. 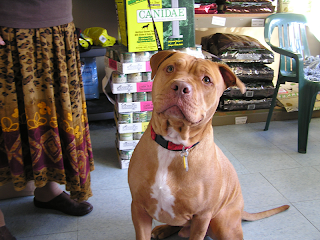 We want to reduce homeless pit bull numbers with a free spay and neuter program." The surgeries will be sponsored by Seattle Purebred Dog Rescue and performed by the Seattle Humane Society, located in Bellevue, where every companion animal receives high-quality care during their spay/neuter surgery, including pain medication. The dogs will also receive a FREE microchip! In addition to saving lives, spaying and neutering can drastically improve your dog's health and life expectancy. The idea that dogs become fat and lazy when they are altered is a myth. Spaying a female eliminates the possibility of uterine and ovarian cancer and greatly reduces the risk of breast cancer. Neutering a male reduces the risk of both prostate enlargement and prostate cancer. Neutering will also make your dog more affectionate and less likely to roam, get in fights or become lost. If you have an unaltered pit bull, or know someone who does, call the Seattle Humane Society at (425) 649-7560 today to make an appointment during this limited time offer. For more information about the Seattle Humane Society please visit www.seattlehumane.org or call (425) 641-0080. 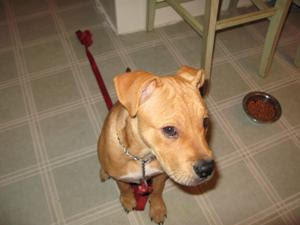 For more information about the Seattle Purebred Dog Rescue please visit www.spdrdogs.org or contact (206) 654-1117. Animals First Foundation presently has a Pit in foster care that needs a home or foster to work with her barking/chirping most likely caused by separation anxiety. 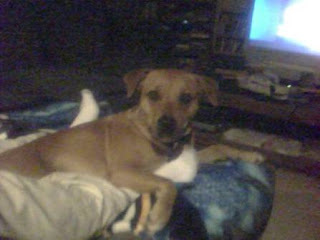 She is very sweet but the foster is too busy to work with her and a dedicated commitment is required. With all of the Pits in need this may be a long shot but I am hoping someone will step up to the challenge. She’s been passed around so much that she needs stability. Please contact Becky at becky@animalsfirstfoundation.org or carina@animalsfirstfoundation.org if you can help. We’d like to help this poor girl as she will make a good member of the family once she knows she is safe and won’t require so much attention.